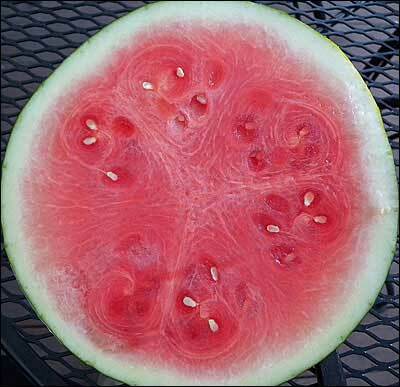 Have you wondered why seedless watermelons have seeds? And if the watermelons with seeds are defects? Well, the white seeds you occasionally find in seedless watermelons are not actually mature seeds. They are white seed coats, where a seed never did mature. It is safe to eat these seeds, as these seeds will never grow into watermelons. So that’s simple; if you come across the white, immature seeds, while inspecting seedless watermelons that’s OK, they are not considered a defect. But what do you do if you find some mature, dark brown seeds, in a seedless watermelon? 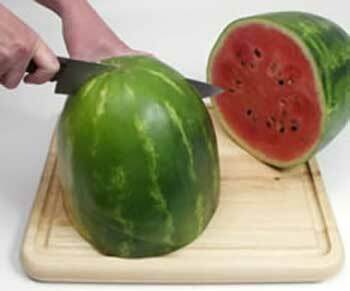 Because there are no external indications of whether a melon may contain mature seeds, you would have to randomly cut the watermelons. When encountering seeded melons in a seedless lot report as a quality factor as “Seeded melons.” Inspectors are required to cut as many melons as necessary in order to truly determine the internal quality. Melons shall be cut in four equal sections (one lengthwise cut and one crosswise cut) as shown above. 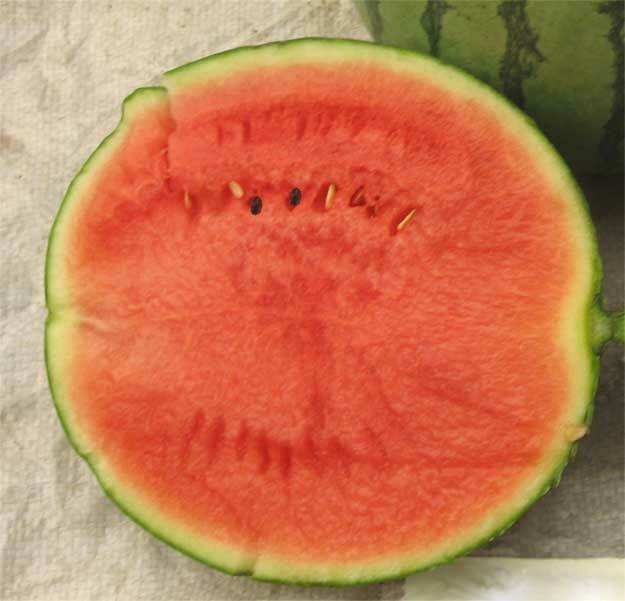 Count the exposed seeds on the faces (vertical and horizontal) of all “quarters.” If you find more than 10 mature seeds on the faces of the cut melon, that watermelon would be considered a defect. Defect percentages MUST be based on the total melons in each sample (20) and not the number of melons cut. The U.S. Grade Standards for Watermelons allow up to 10% may have quality defects. If you find more than 10% of the seedless watermelons have more than 10 mature seeds on the exposed faces of the vertical and horizontal quarters, then the lot of watermelons would fail to grade U.S. No.1.